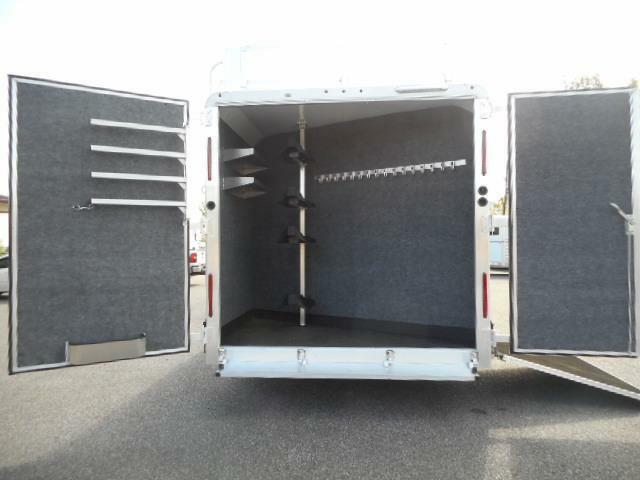 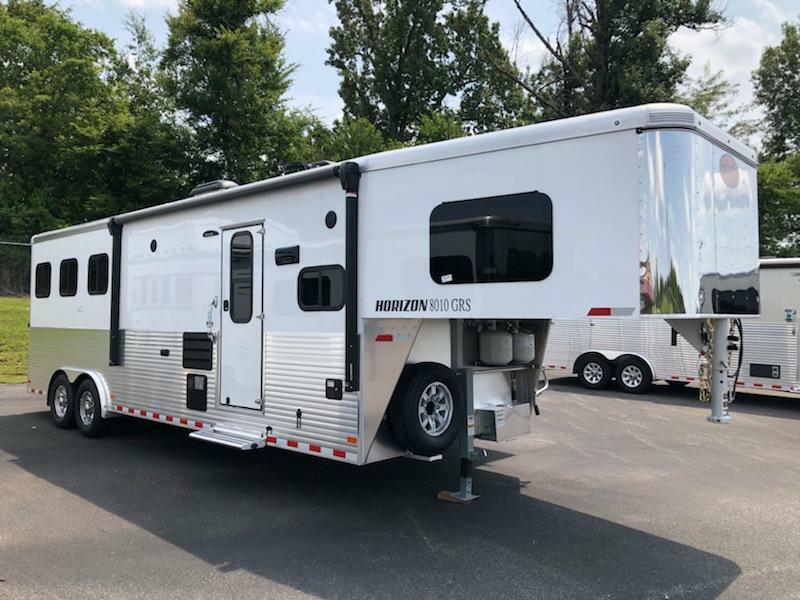 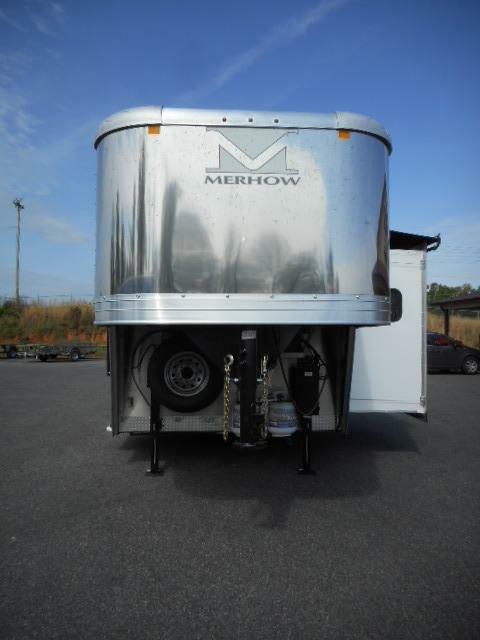 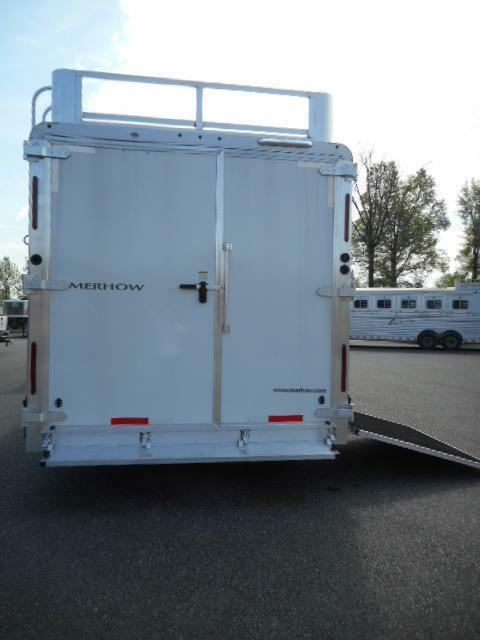 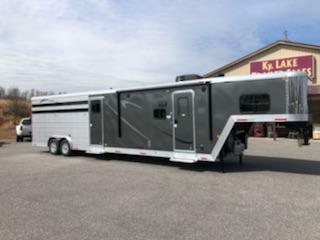 This 2017 Merhow 8412 Rear tack is a 4H side load trailer that is white in color and has aluminum extruded sides at the stall area with charcoal and silver graphics package, 3-7K axles, dual hydraulic jacks, black power awning with LED strip underneath, aluminum wheels, and stainless steel nose. 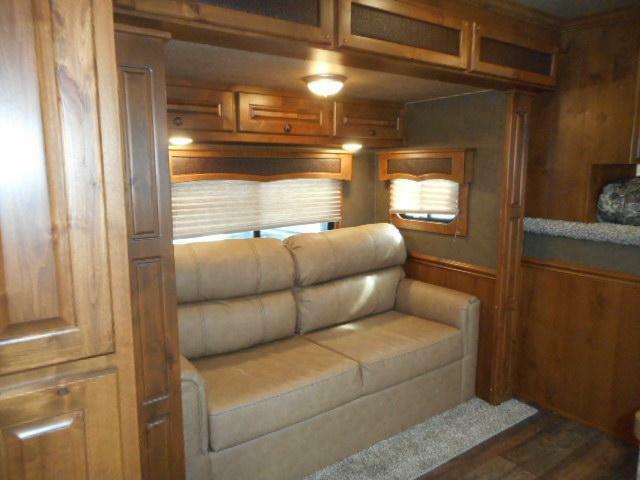 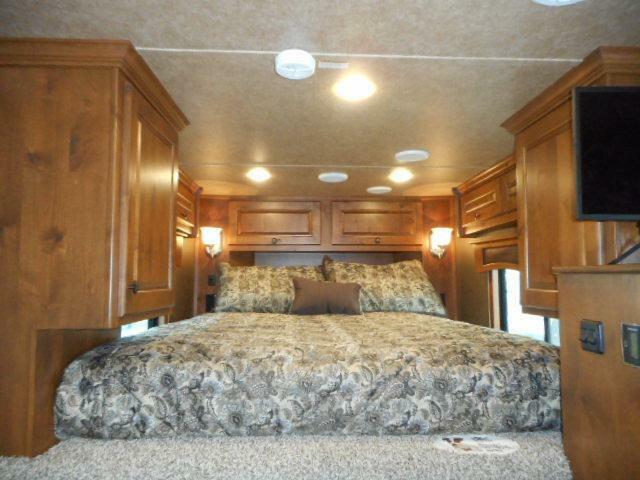 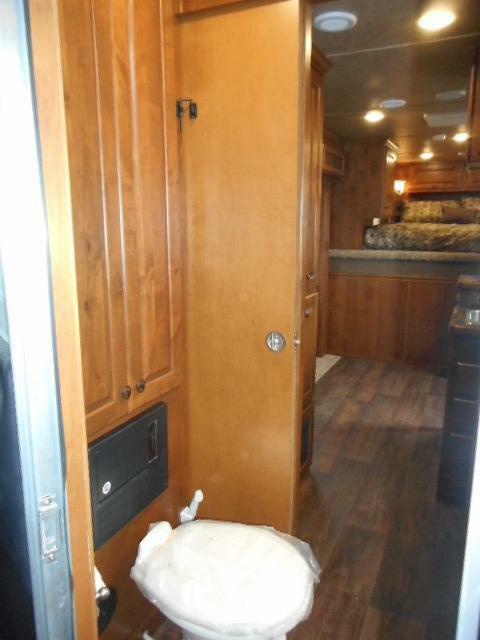 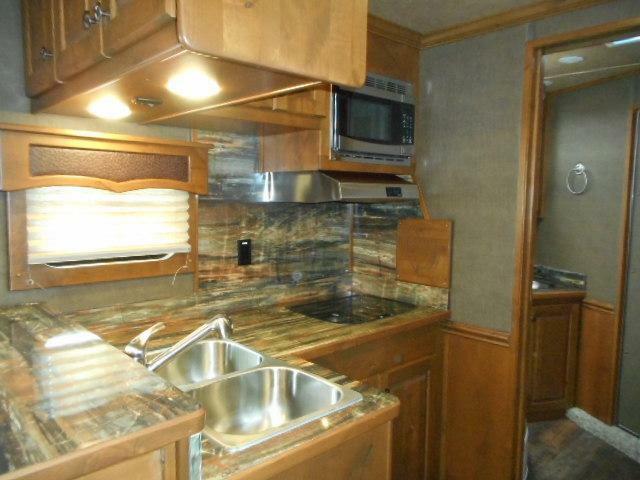 The living quarters has soft touch entrance door, high gloss countertops, backsplash, slide-a-bed sofa, deluxe light package, soft touch walls in garson smoke, soft shades, hardwood valances with emu inlay, innerspring mattress in GN, recessed cooktop, microwave, 6 cu ft fridge, A/C ducted with heat strip. 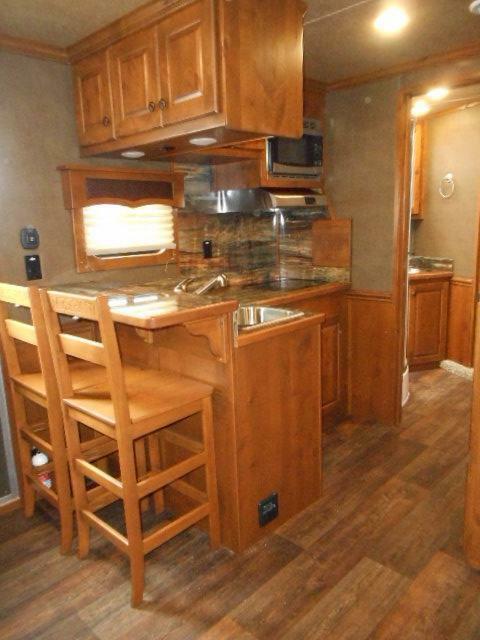 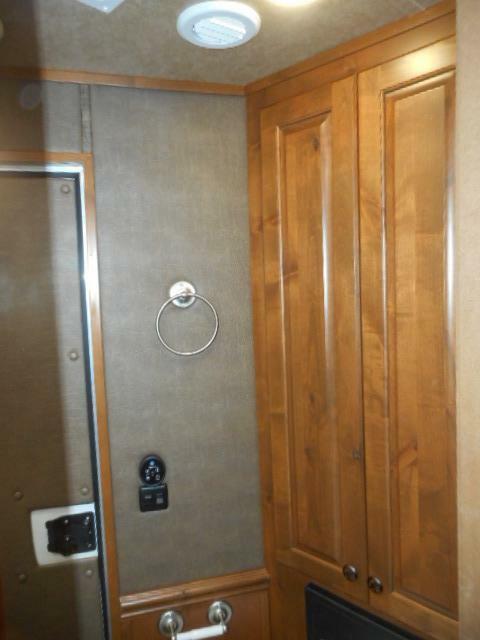 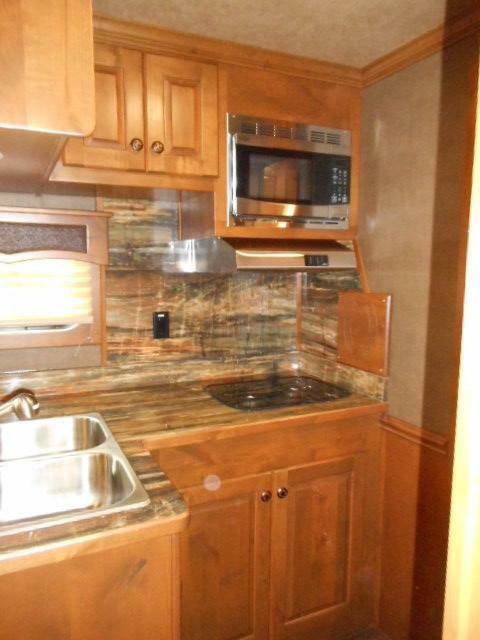 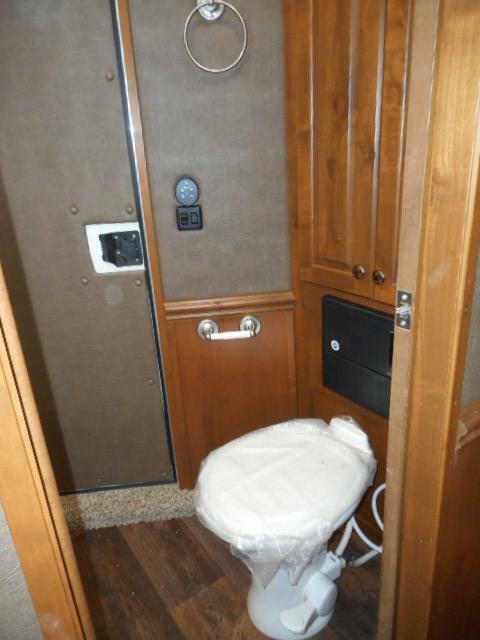 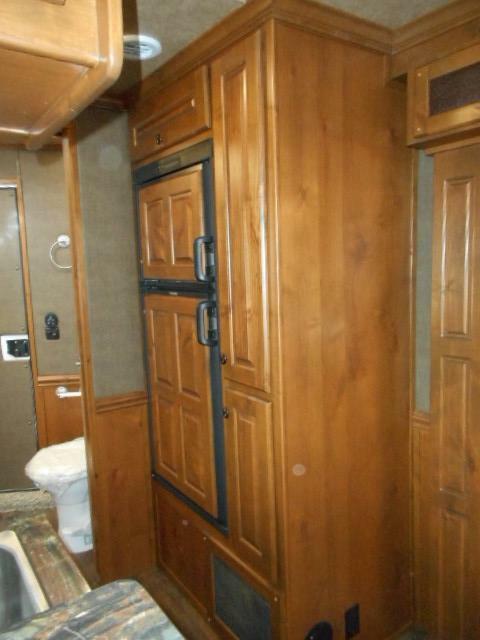 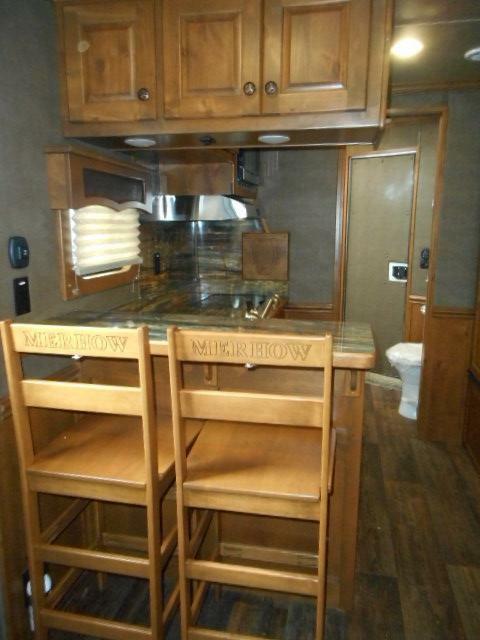 19,000 BTU furnace,bar with 2 highback bar stools, pre wired for generator, 24" LED TV with swing arm, stereo/DVD player with bluetooth capability, external marine speakers, and cognac hardwood cabinetry throughout. 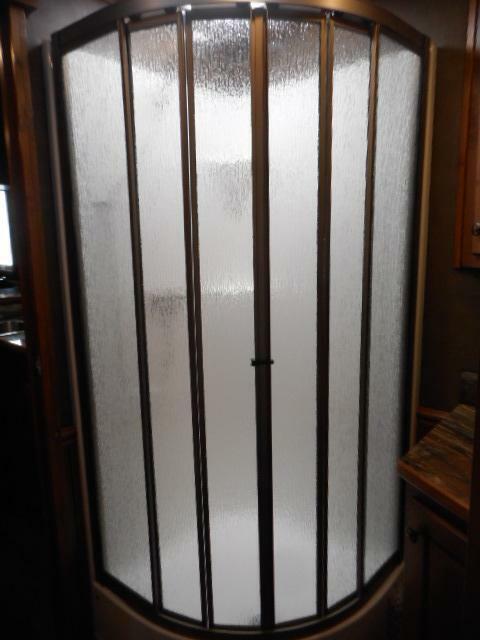 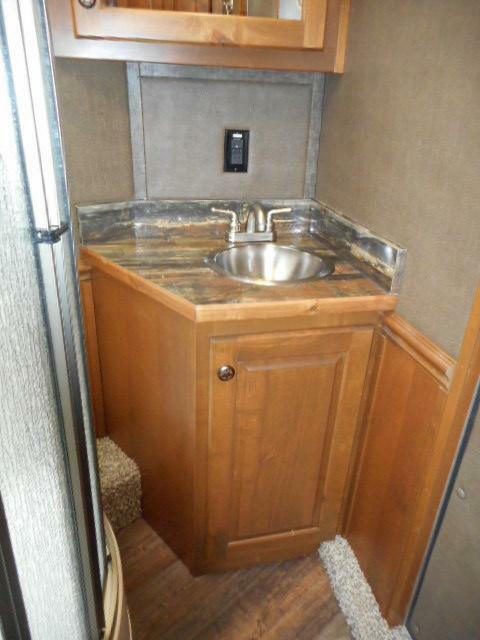 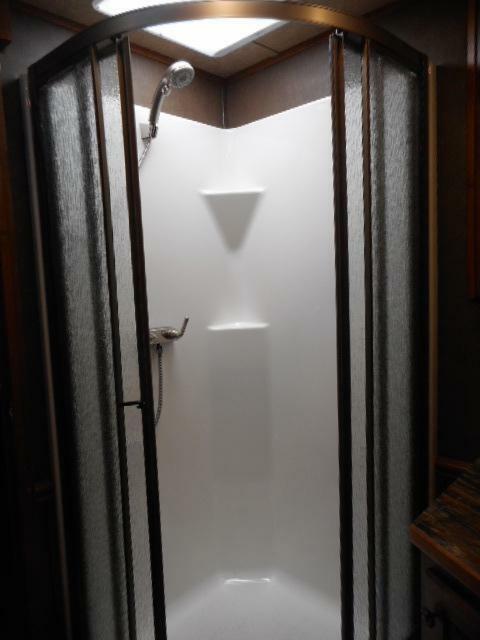 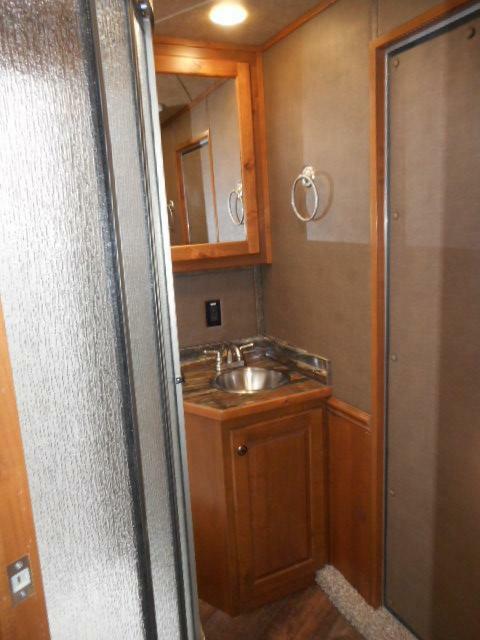 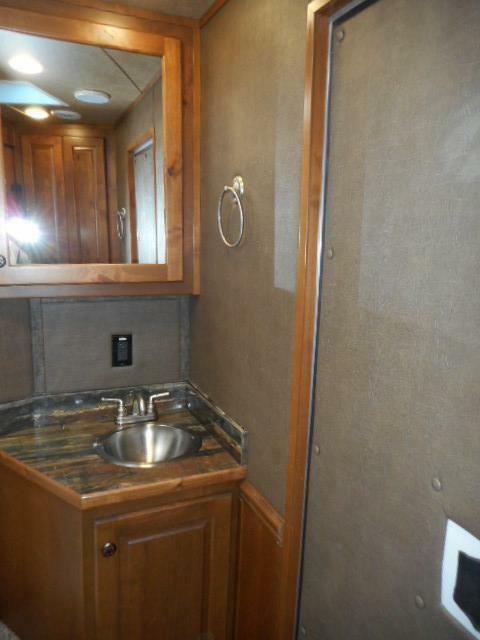 The bathroom has a shower with skylight and glass shower door, fantastic fan with rain sensor, sink with vanity, porcelain toilet, 3 way switch and walk through door to the horse area. 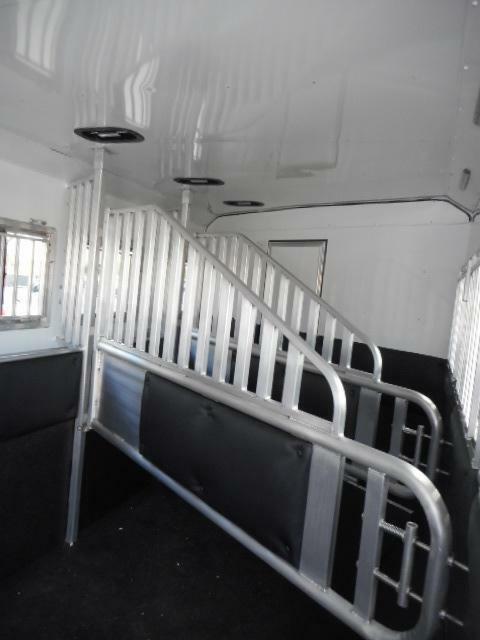 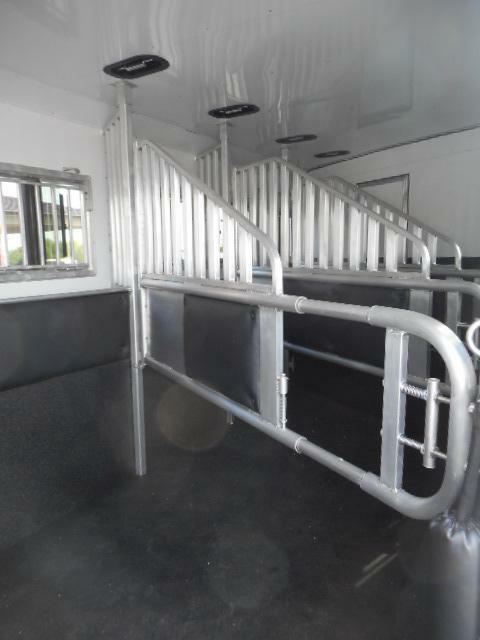 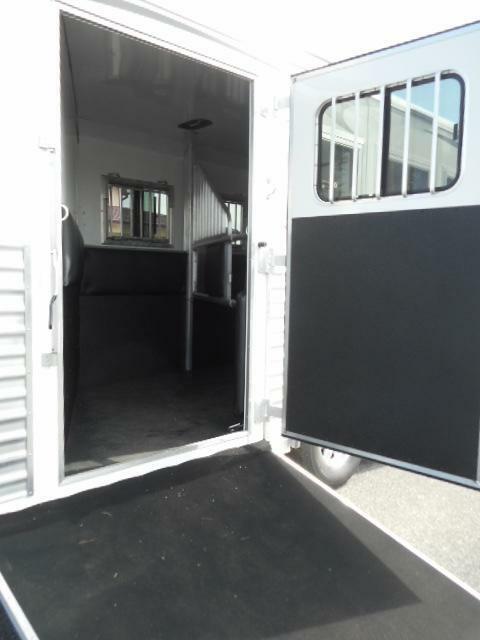 The horse area is lined and insulated, 3 way switch on rear hoop, interior horse lights, stud divider and escape door in first stall, drop down feed windows on head and hip, 2 load lights, 4 additional clearance lights, and 8' hayrack with ladder(no floor). 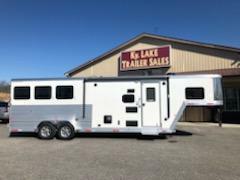 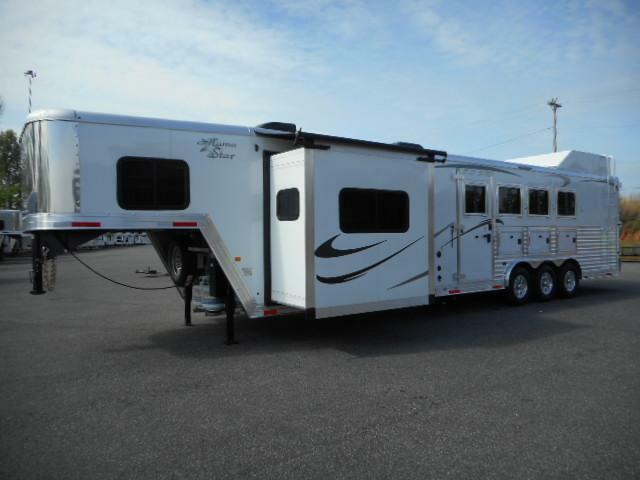 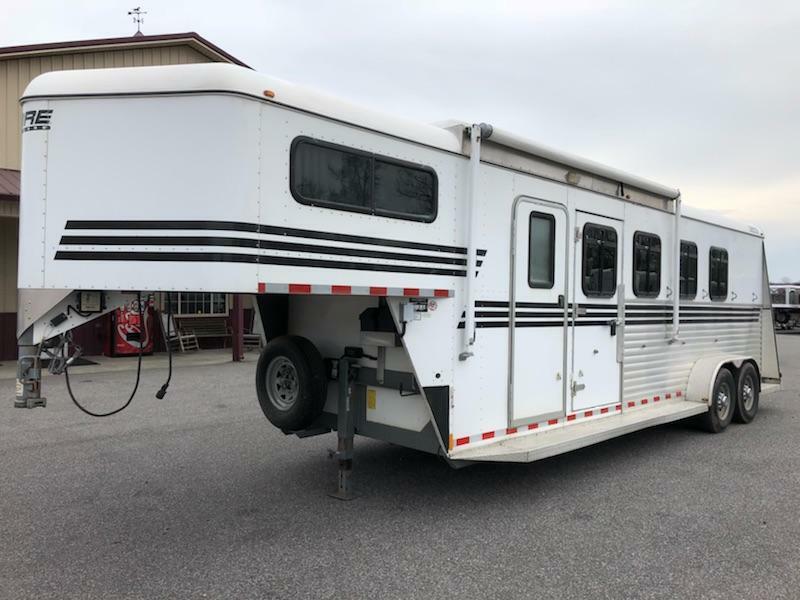 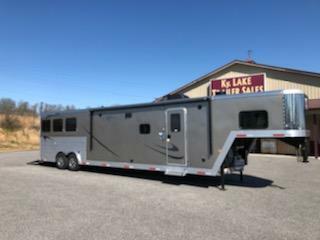 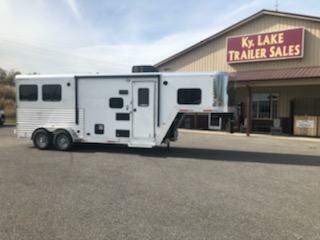 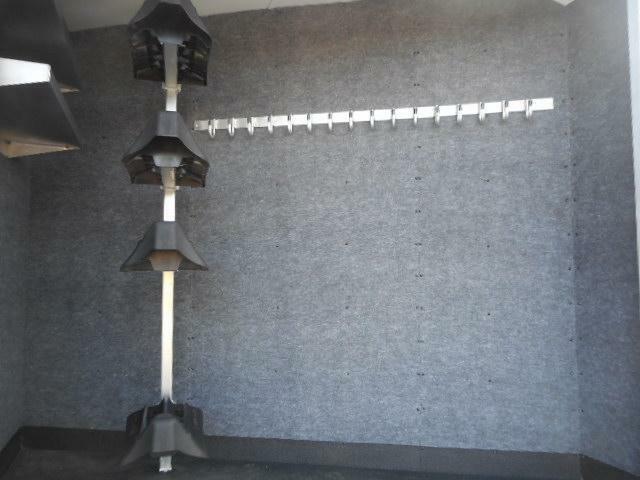 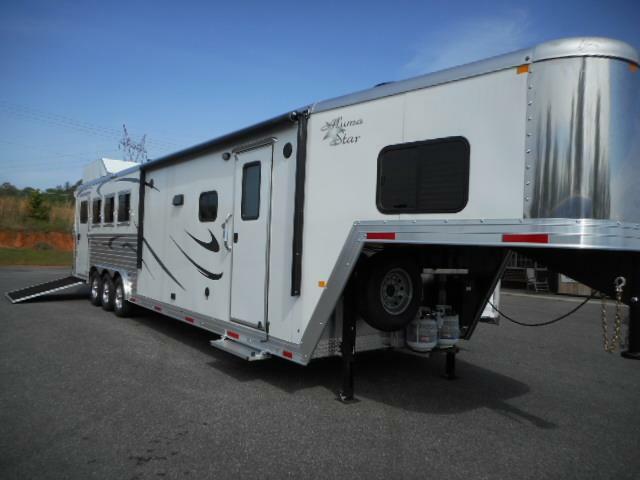 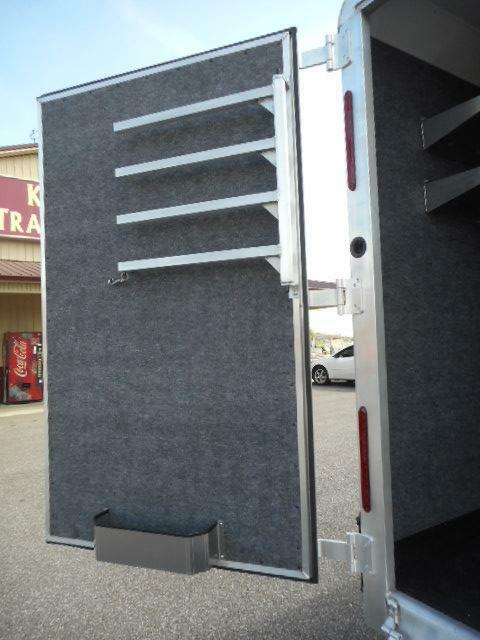 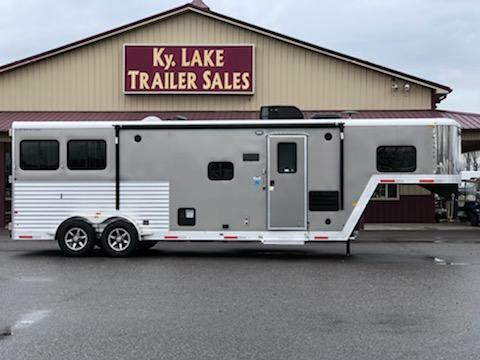 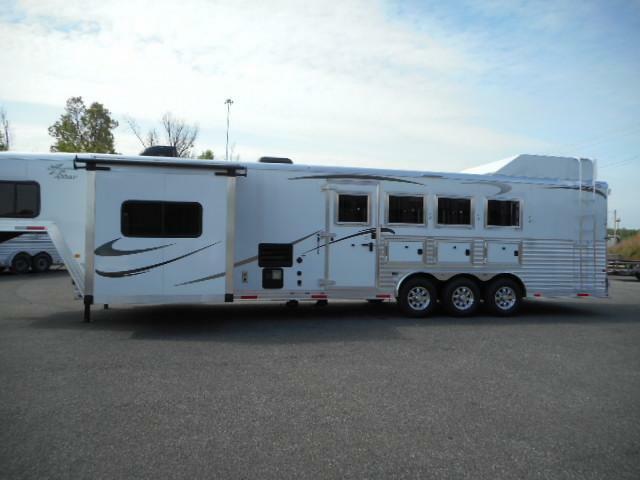  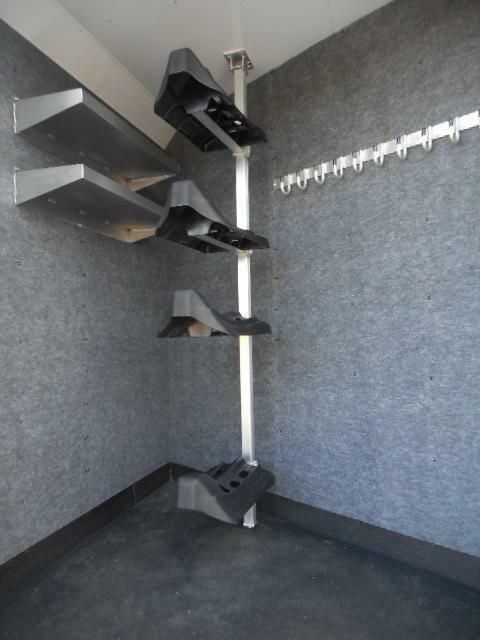 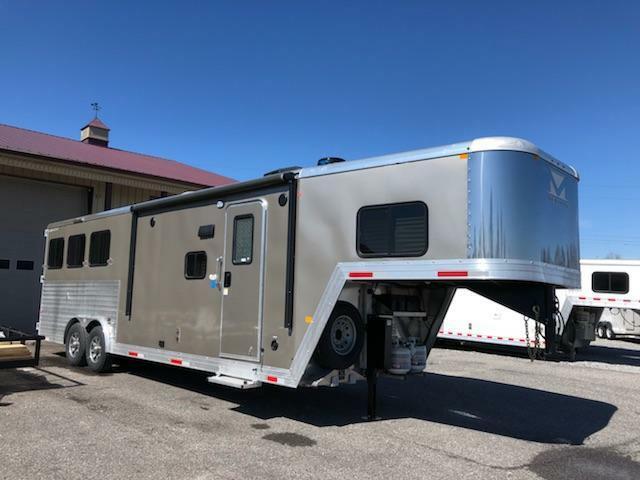 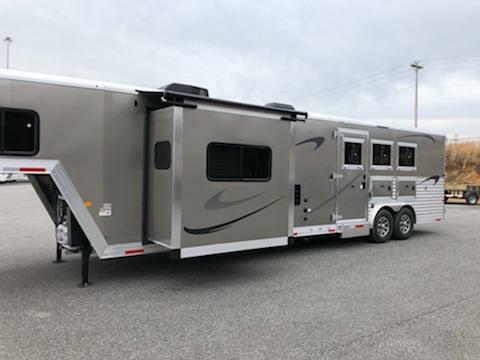 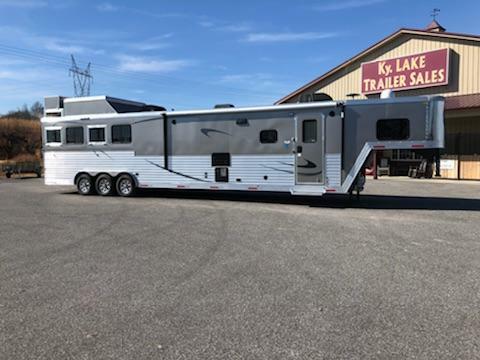 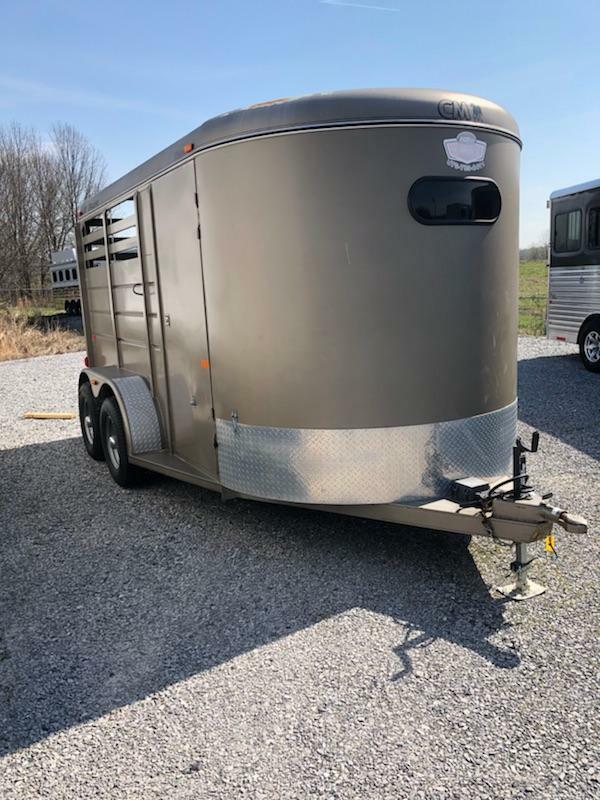 This trailer has a full rear tack with 4 blanket bar, 2 aluminum shelves, heavy duty bridle hooks,telescoping divider, and large 84" flip up step behind rear tack. 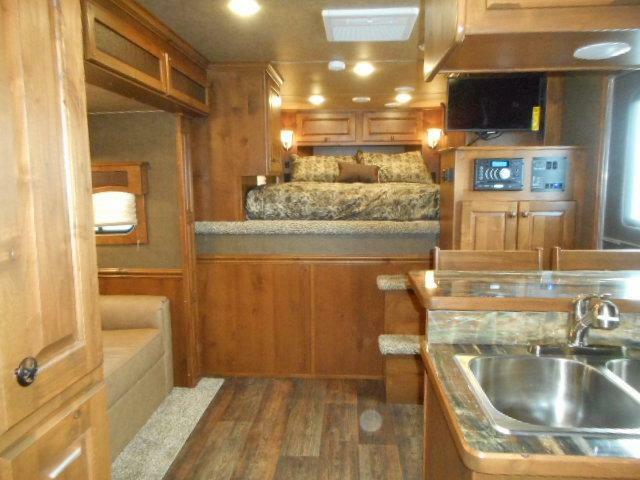 This one is a must see. 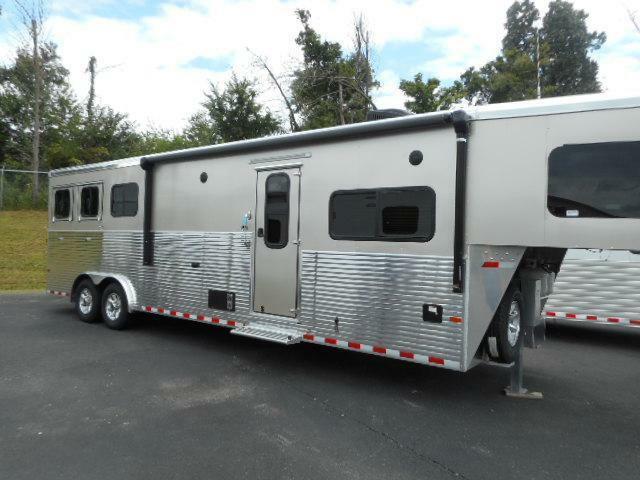 Priced to sell at $69,995.00 Pictures coming soon.